AUSTIN, Texas -- Jerry Jeff Walker has never been one to shy away from taking a different approach. After more than four decades as a major influence on the "outlaw" progressive country movement in Austin and a successful entertainer on a national scale, Walker has made a career out of taking a different approach. His views and ideas on the game of golf are, pardon the expression, no different. For Jerry Jeff Walker, golf was part of getting healthy after 20 years of partying. Walker knows a little something about golf. It was at the ripe age of 12, back in 1954, when Walker, who was known then as Ronald Clyde Crosby, began carrying the bag for his father and his father's friends. "My dad wanted me to earn some money in the summer," Walker said. "So I caddied (for him) and also helped my grandpa on the farm in upstate New York." Upstate New York was Oneonta, which is about 20 miles south of Cooperstown and the Baseball Hall of Fame. It was there at the Oneonta Country Club where Walker learned about golf and formed his viewpoints about the game. "You had to serve as an apprentice under the head pro before you could caddie and carry the bag," he said. "You learned how to rake the traps, replace divots, and learn the yardage on the course, which was a pine tree or maybe a stake at 150. It took a couple of months." When each summer day's worth of work carrying the bag was complete, Walker said some of the caddies would head off to the No. 1 tee and try and sneak in a quick 18 before dark. "We always played 17 holes. It was always dark when we played 18." He said on Mondays, when the country club was closed, that same group of caddies would head over to the nine-hole Otsego Golf Club. "It was and still is one of the oldest golf courses in America." When not caddying or playing golf, Walker said he and the others always found time behind the clubhouse to fit in a friendly game of wiffle ball. "It was a lot of fun," Walker said. "It was an idyllic setting. It was somewhat a rite of passage." Obviously, those summers made an impression. "I still like to play golf late in the evening in the summer. It takes me back to that time. I like golf courses empty and the long shadows. There's solitude." He said Pine Valley is one of his favorites simply because of its quiet nature. "You just play golf and it's just the woods and the trees." In addition to solitude, Walker said he likes to walk the course because that is the way he learned it and it's the way he believes the game is supposed to be played. "Golf started for exercise. Who needs to ride in a cart and hear someone tell bad jokes?" Walker said jokingly, yet emphatically made his point. "Walking is also quicker. You can walk straight to your ball and you're thinking about your next shot." He said besides the professional tours, caddying is a thing of the past and walking, as much as he likes it, is also on its way out. Needless to say, he's not happy about it. "The golf course designers are making it almost impossible to walk," he said. "They keep spreading the tee boxes further (from the previous green)." The country clubs are not without blame, according to Walker. He said he has inquired in the past about bringing a pull cart on to the course. The country club denied his request. "They said members couldn't do it. 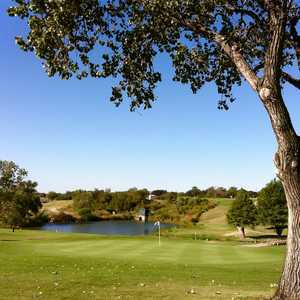 But it's allowed on public courses," he pointed out. While his thoughts on the game have unwavered through the years, his game hasn't been as fortunate. In fact, from 1960 to 1980, he gave the game up for what he described as his "subterranean lifestyle" where he was a hippie and vagabond who hitchhiked and traveled the country. It was also during this time and a part of his travels that he met a man in the First Precinct jail in New Orleans. His name: Bojangles. Mr. Bojangles, interestingly, was never a big hit for Walker. The Nitty Gritty Dirt Band made it to the Top Ten of the pop charts with the song in 1971. Walker has written or performed numerous country-rock classic hits through the years including "Sangria Wine," "Up Against the Wall, Redneck Mother," "London Homesick Blues" and "Jaded Lover." After 20 years of partying and having a good time, Walker said in 1980 he decided to get healthy and began working out. "When I was healthy, I wanted to find something that I could do, playing golf was the obvious choice." 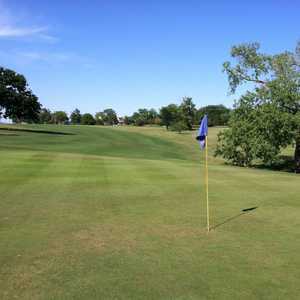 Coincidentally, around that same time, Walker learned about a group of guys who played regularly at a little nine-hole course southwest of Austin. 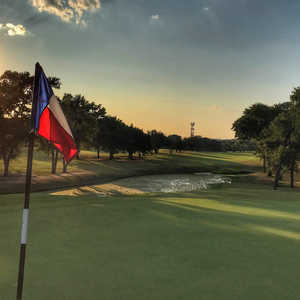 The course turned out to be Willie Nelson's Pedernales Country Club in Spicewood, and "the guys" turned out to be former University of Texas football coach and legend Darrell Royal, Larry Trader (the head pro at Pedernales who still runs it today) and on occasion, Nelson himself. "Because I was self-taught, I had to get plugged in (to the game) again. At that time I was a 16 or 17 handicap." For the next couple of years, Walker continued to pick up the sticks but never saw any real improvement in his game. In 1983 he made a conscious decision to lower his score. Danny Britt was the man to do it. Britt was an instructor at the Hills of Lakeway who Walker happened to meet one day out at the club. After the two visited for a while, Walker learned of Britt's interest in playing guitar. It was a complementary match and the two fast became friends. Walker eventually hired Britt, who was also an accountant, to go out on the road and do some accounting work while helping Walker improve his game. In 1985, Walker's handicap had dropped to an 8. A year later Walker found a way to mix his profession with his love for golf when he hosted the first Jerry Jeff Walker Golf and Western Classic. The event, which was part of his birthday weekend celebration, drew fans from across the country and included three days of golf and lots of music.